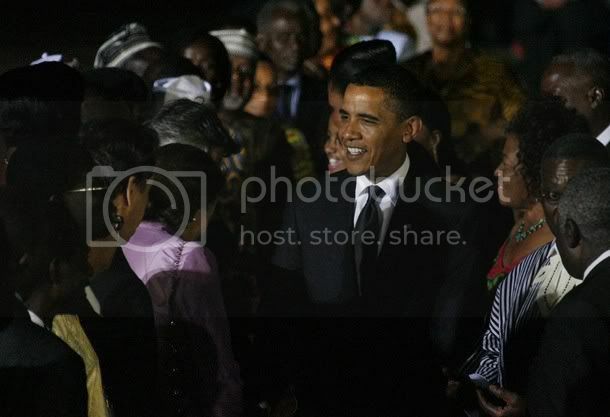 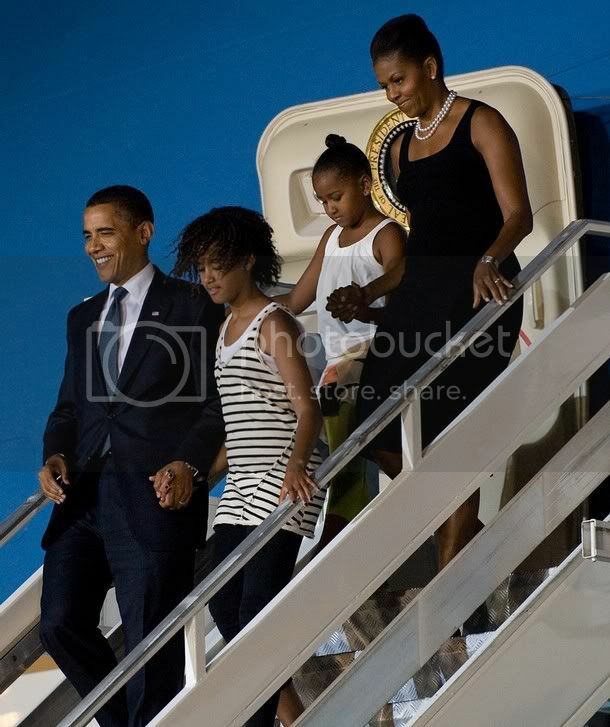 President Barack Obama arrived in Ghana Friday on his first trip to sub-Saharan Africa. 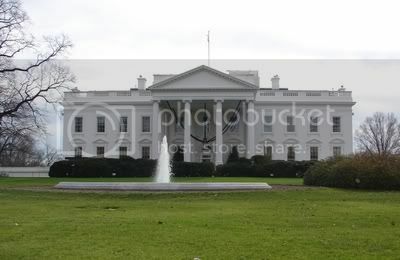 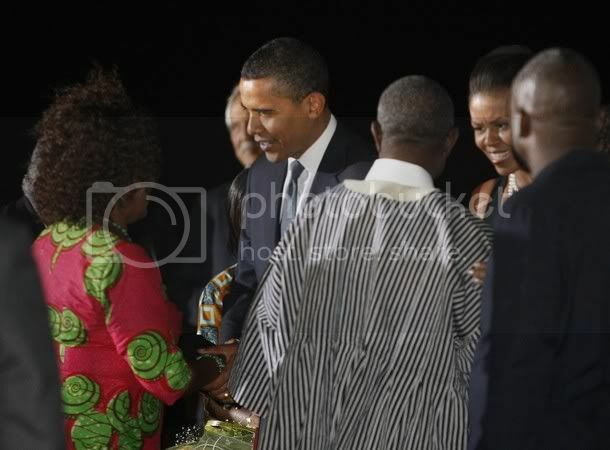 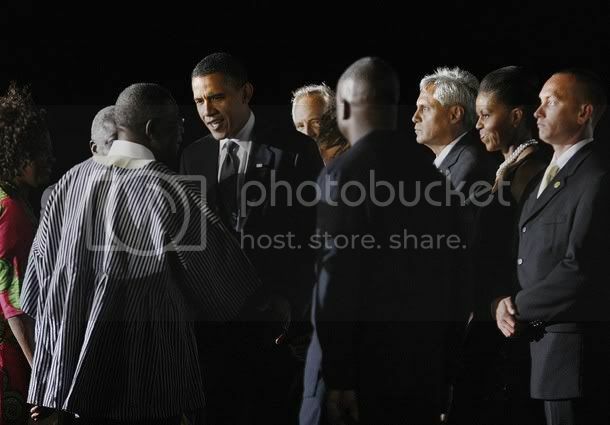 He landed soon after 9 p.m. local time and met a group of dignitaries, led by President John Atta Mills. 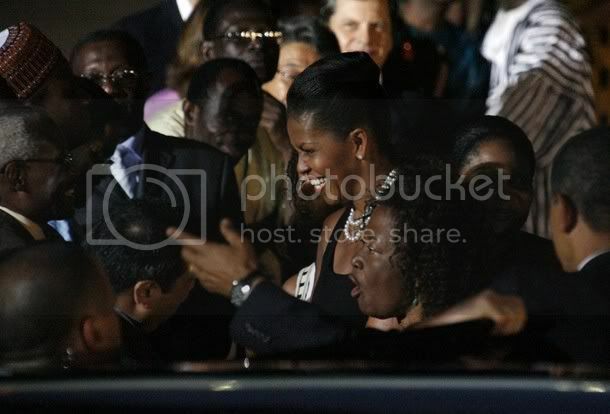 An ethnic African group danced and banged drums for Obama's arrival. 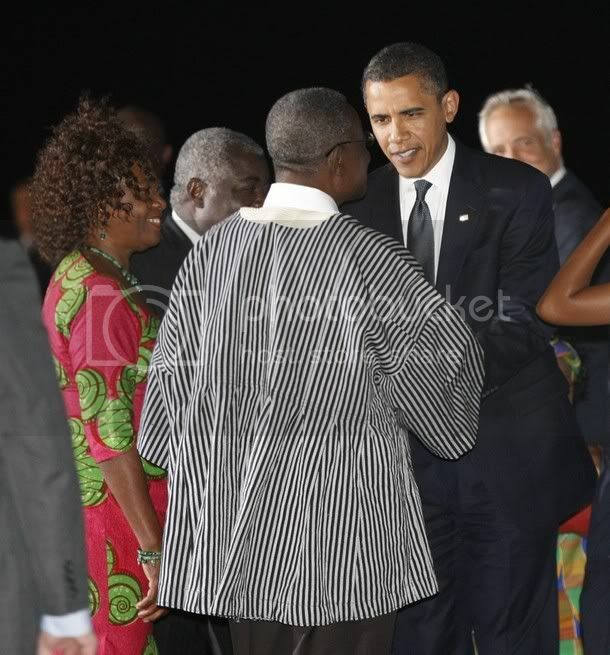 After traveling to Russia and then Italy for a meeting of major industrial powers, Obama is making Ghana, on Africa's west coast, the last stop of his overseas trip.